This book is true to the language of the title. Once I got past that; I loved the concept. I realize now what is important and what just drags us down. Stay and listen to the last 10 minutes no matter what. The only thing I disliked was that he brought up being a "world class gymnast" too many times. I guess he wanted to qualify himself. The narration was good. It was funny at times and kept my attention. I have listened to this title several times and I always get more out of it. I liked the information. 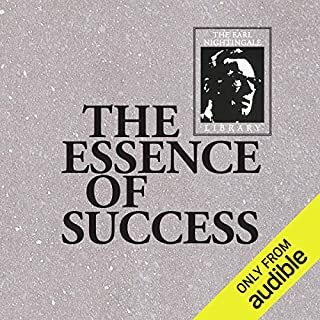 He covered about everything one needs to know to succeed in life, socially. I would recommend to all pre teens for sure. By teenage they know it all lol. 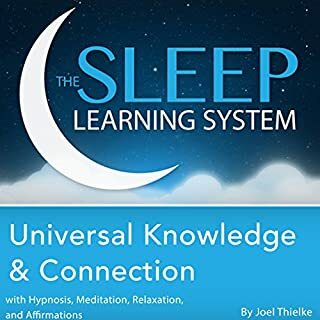 Find the answers that you seek, get connected with the universe, and harness unlimited knowledge and universal energy with this guided meditation and relaxation program, from certified hypnotherapist, Joel Thielke. It's as easy as turning on the tracks and falling asleep! The Sleep Learning System is specially designed to work with your subconscious mind during your sleep cycle. 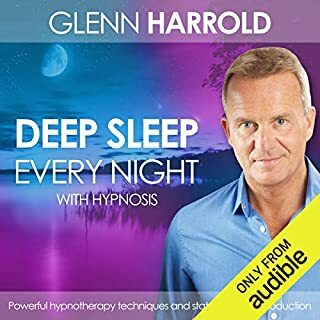 What would have made Universal Knowledge and Connection with Hypnosis, Meditation, Relaxation, and Affirmations better? The music in the background was not relaxing. It was kind of scary. 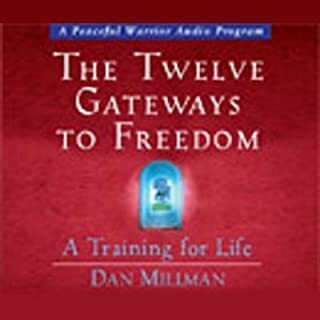 The affirmations were like an evil spirit talking through the noise. I am sorry I bought this and will never listen to it again. What didn’t you like about Joel Thielke’s performance? 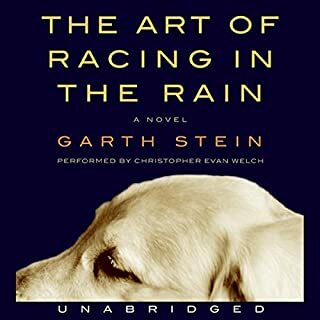 Would you consider the audio edition of The Art of Racing in the Rain to be better than the print version? The narration was wonderful. It made the dog become real. Enzo, the dog, he had amazing insight. He gave Enzo a voice and a personality that reading couldn't do. I would take Denny's wife out to dinner. She needs to know to go to the Dr. and get her final wishes in writing. What made the experience of listening to People Are Idiots and I Can Prove It! the most enjoyable? Once Larry gets past putting everyone in the world down he breaks things into chapters. While I can't wear stillettos I appreciate that one should look for qualities in a mate that are compatible with their likes and dislikes. Wish I had this book 25 years ago! Some of the idiots he describes. The ones that annoy everybody. Especially on planes and in restaurants. Which character ??? as performed by Larry Winget ??? was your favorite? 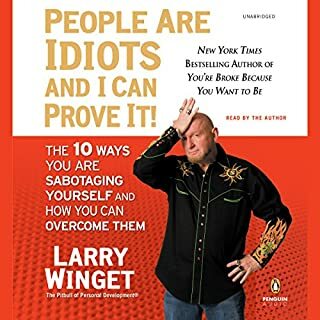 Larry Winget. Once you listen, I need say no more. What did you learn from People Are Idiots and I Can Prove It! that you would use in your daily life? A ton of stuff! The people I hang out with, mostly. I wish he would narrate ALL of his books. I love the two I have. Being a parent is the toughest job in the world, especially with the increasing number of negative influences and pitfalls facing our kids today, from childhood obesity and out-of-control celebrity culture to the dangers of the internet and credit card debt. 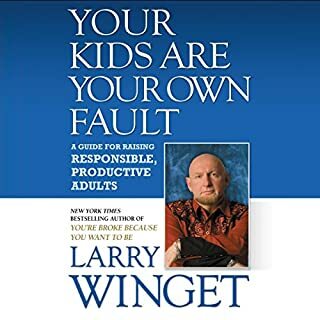 Larry Winget has never been one to shy away from tough truths, and what he says here may well be difficult for some parents to swallow: we are in the midst of a crisis with our kids. If you could sum up Your Kids Are Your Own Fault in three words, what would they be? What was one of the most memorable moments of Your Kids Are Your Own Fault? What about Larry Winget?? ?s performance did you like? Love his style and attitude. He needs to narrate ALL of his books. How to raise responsible adults. Jason Steadman is a 30-year-old sales executive living in Boston and working for an electronics giant, a competitor to Sony and Panasonic. 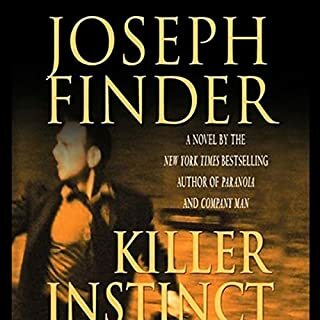 He's a witty, charismatic guy who's well liked at the office, but he lacks the "killer instinct" necessary to move up the corporate ladder. To the chagrin of his ambitious wife, it looks as if his career has hit a ceiling. Jason's been sidelined. Well done characters and story. 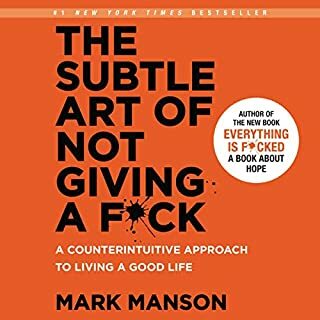 I sat in a parking lot many times while listening to this book. You may think you know what's going to happen next. Very well done. 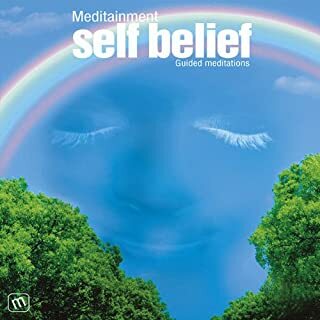 These easy-to-follow guided meditations involve beautifully crafted stories with music and natural sound effects. Each track leads you into a state of deep relaxation, where you come to recognize and appreciate your true self. This program goes from an art gallery, to boating, and back. It's not like those scenes flow into each other. The background noise should be barely heard, it is sometimes louder than the vocals. I love the accent. His voice is very comforting. I also agree that Audible ruined the sleep cycle by their ending. I also wake up startled to the ending Audible message. Take that out and I'd give it 5 stars.